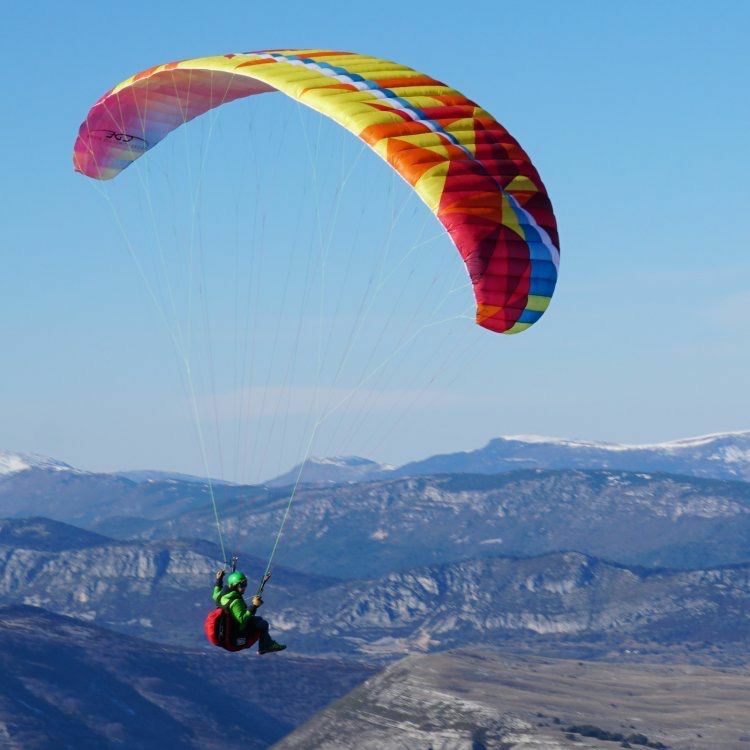 BGD EPIC - The ideal paraglider for your first big flights, and a fun all-rounder for seasoned pilots. 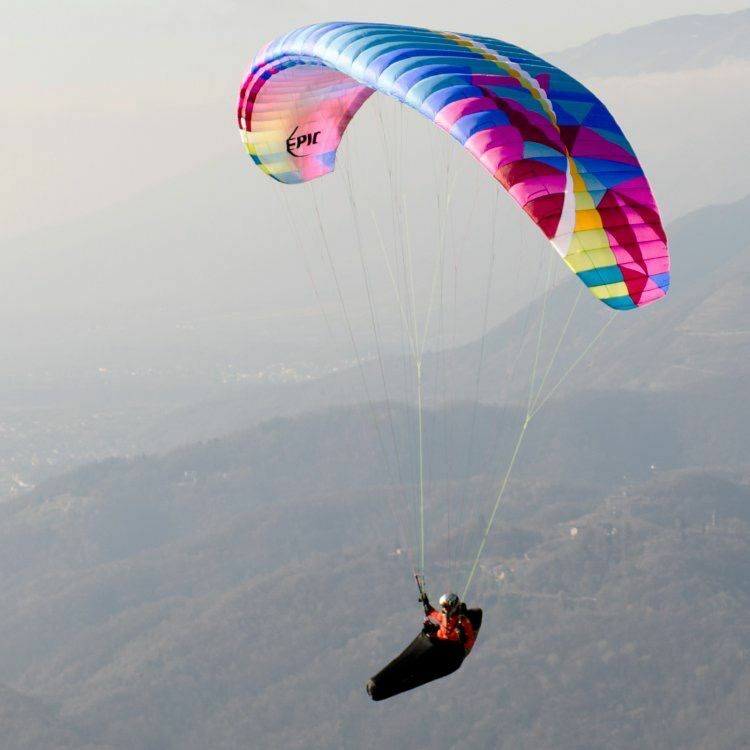 Home / BGD EPIC - The ideal paraglider for your first big flights, and a fun all-rounder for seasoned pilots. TARGET Once upon a time in a land far, far away (1989 on the Isle of Wight, UK), a younger Bruce Goldsmith toiled night and day, cramming all his ideas into the Black Magic. 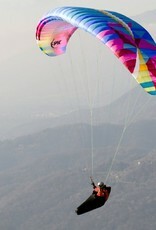 This paraglider was to fulfill his dreams and take him into the history books. Now, with the Epic, fellow pilots can follow on his flight path and embark on their own epic journey. 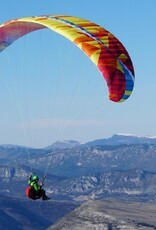 If the passion for flight burns inside you, the Epic will set you free with, literally, flying colours. The Epic is ideal for pilots about to leave their house thermal for the first time, and a fun all-rounder for seasoned pilots. 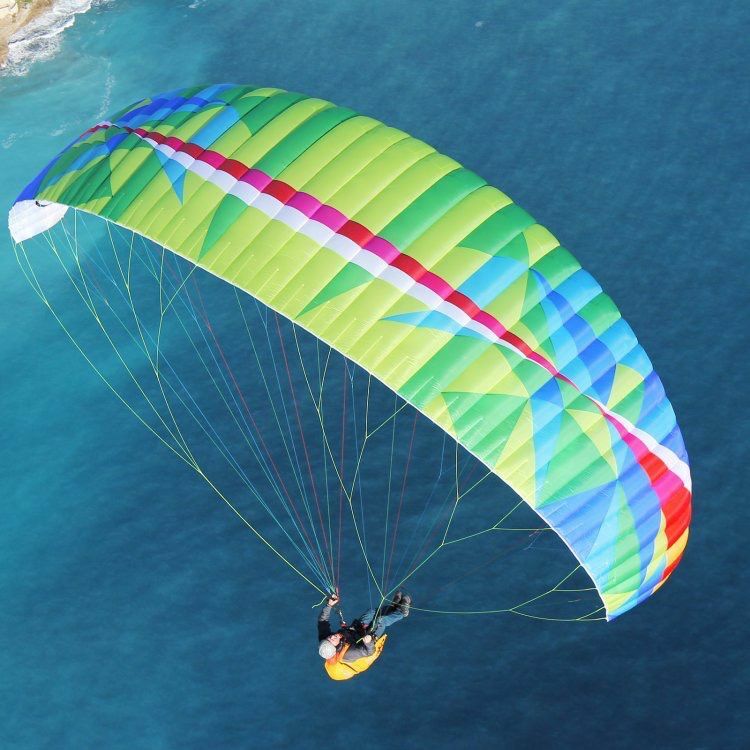 DESCRIPTION Designed to satisfy your uncontrollable urge for flying, the Epic is an intuitive, safe and graphically appealing paraglider. Bruce has packed lots of high-tech design solutions into the Epic so you can enjoy your journey at your own pace. Designed for peace of mind no matter what you meet on your journey, she will reassure while you slay that flaming dragon thermal, and see you safely past the snaking valley breeze. A shark nose, mini-ribs, light and efficient speed bar, elliptical tips and a safe but sharp brake range work together for optimal safety, handling, and performance. The Epic will give you the confidence to make your journey over the highest mountains, across the deepest valleys and to the ends of the earth and back. BRUCE'S NOTES I know how privileged I am to have found such an extraordinary sport. During my own journey I have worked out exactly what a pilot preparing to embark on their own such voyage needs. I wrote a list of requirements and designed the Epic with this in mind. The easy aspect ratio of 5.0 is the perfect balance between safety and performance. 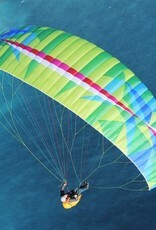 With only 42 optimised cells the Epic is a simple, rugged, and very clean paraglider. I gave the Epic an easy pitch profile and arc for a high degree of passive safety, allowing the pilot to concentrate on the flying. I wish I could have had an Epic when my story began!